To contact us, please use the information provided below or you can submit your questions/comments using the form. We will respond as soon as possible to your inquiry. Thank you for your interest in Timber Pro Coatings! 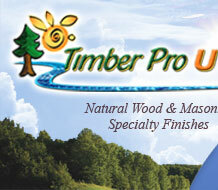 Click here to find out about purchasing TimberPro UV Coatings in your area, or factory direct.